I’m certainly not looking forward to the next game — not unless somebody at Ubisoft has the nous to recognise that after the heyday of Ezio Assassin’s Creed 3 seems like a bloated mess scripted by a collection of twelve year-olds. Somehow I don’t think that’s going to happen, and so I’ll probably give next year’s AC release a pass. 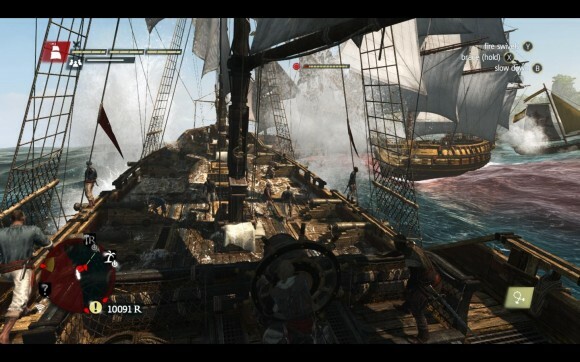 The boat sections are outstanding – and in fact I’d be more than happy to see a full game based around them a la Pirates! Me, upon learning that they’d made the next Assassin’s Creed game all about sailing a pirate ship around the Carribbean.